Colourpop Ultra Stain Lip in Dopey - The most beautiful dusty mauve in a comfortable formula. 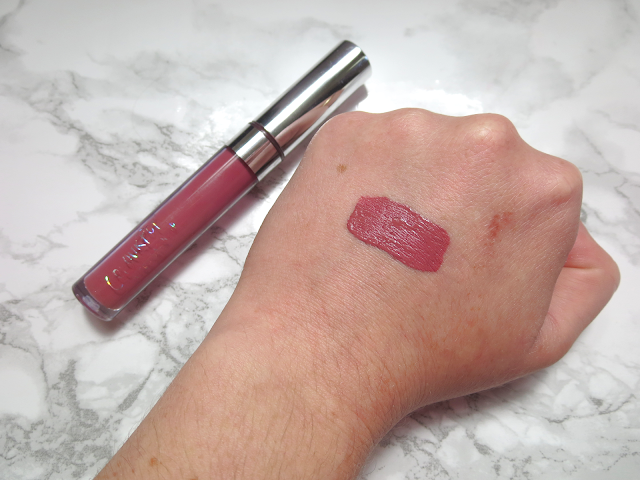 It dries pretty matte actually and doesn't last as long as their Ultra Matte Lips, but quite frankly I'm so obsessed with this shade, I don't mind reapplying and it doesn't dry out my lips as much! Makeup Forever Pro Sculpting Face Palette in 20 - This little palette is amazing. Super compact, and has all your contouring needs ; a matte highlight, a contour shade, a blush and a shimmery highlight. 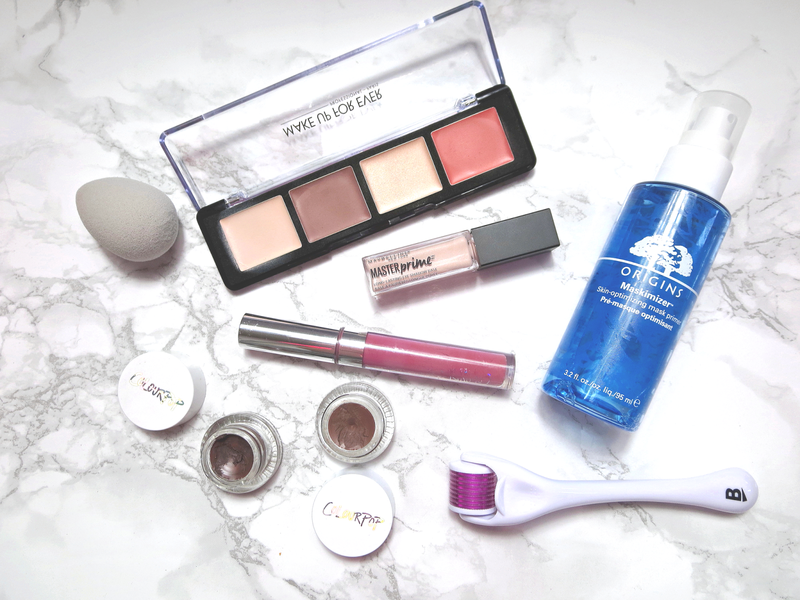 Contour made simple! These have a beautiful creamy texture that's not greasy at all. Easy to work with and blends like a dream. 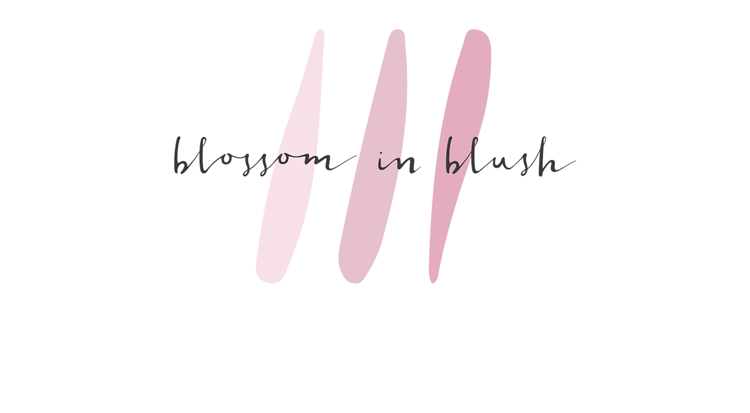 I use it before I set my makeup, and redefine with powders if needed. Beauty.Blusher by Beauty Blender - I picked this up to use with the Makeup Forever palette, as per MakeupByTiffanyD's recommendation. And I love it! One (easy to clean) tool for your entire face? I'm in! 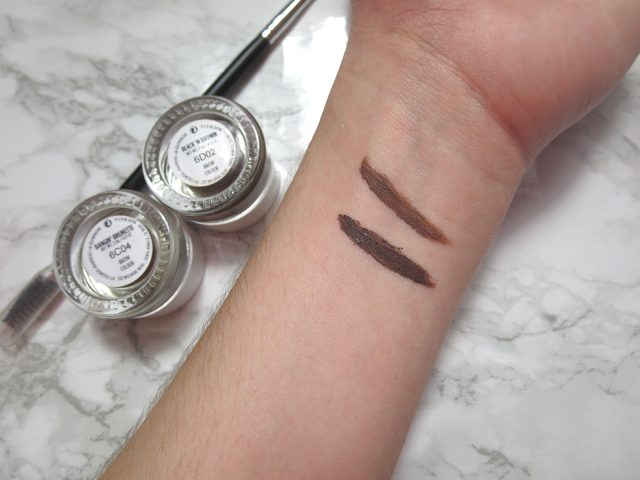 Perfect to really define your features with little effort and blend seamlessly. 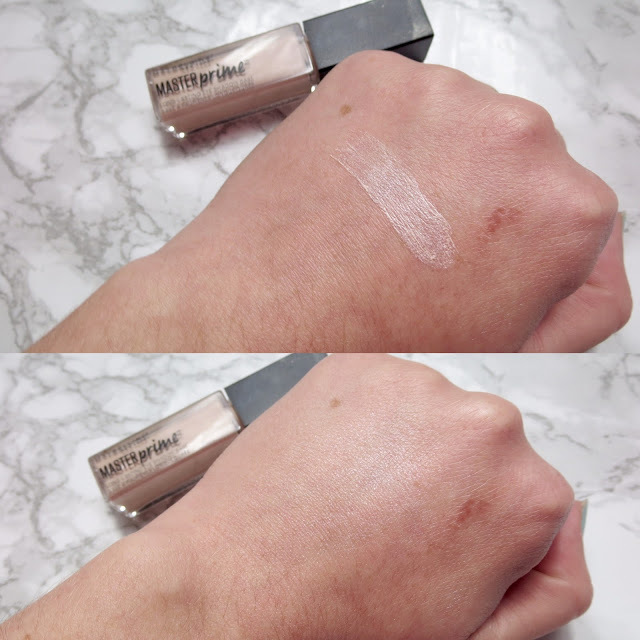 Maybelline Master Prime Long-Lasting Eye Shadow Base in Prime+Smooth - I thought it couldn't be done, but I have found a good eyelid primer from the drugstore!! Oh yeah baby! This ensures your shadows stay in place all day and only costs a few dollars. It might not be everyone's taste as it does have a bit of a sheen to it, so it actually has a brightening effect, which I like, and hasn't interfered with any of my looks. 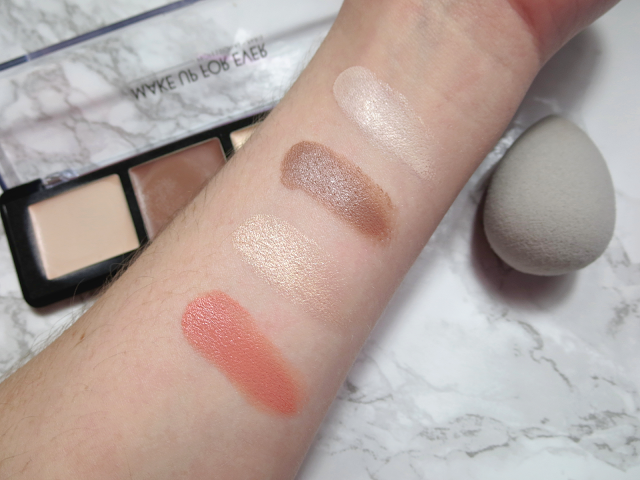 It also comes in 2 more finishes (illuminate, matte) but they didn't have those in stock at the time...Perhaps I will try them all and do a more thorough review in the future! 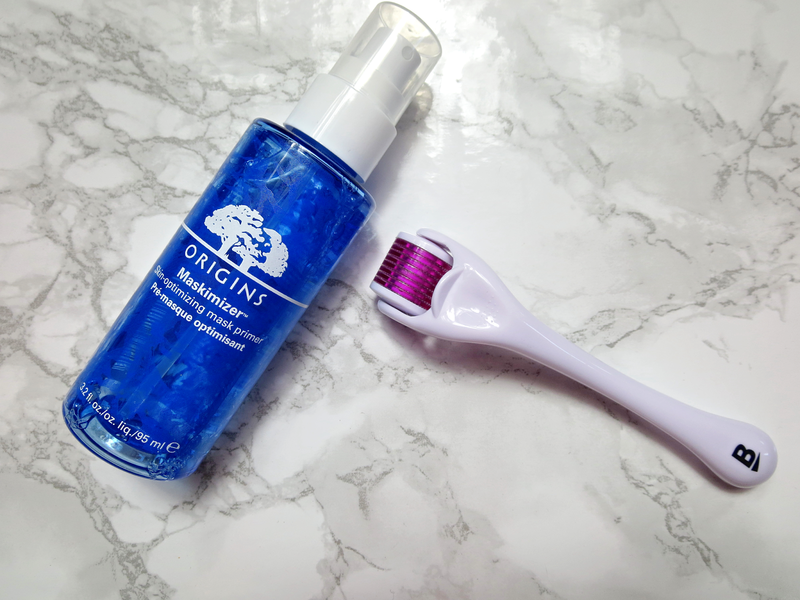 Origins Maskimizer Skin-Optimizing Mask Primer - This. A freakin' primer for your face masks. What's this gimmick you say? No gimmick at all! Spritz this on yo' face before applying your favorite face mask to prep the skin and get the most out of your treatment. Genius! 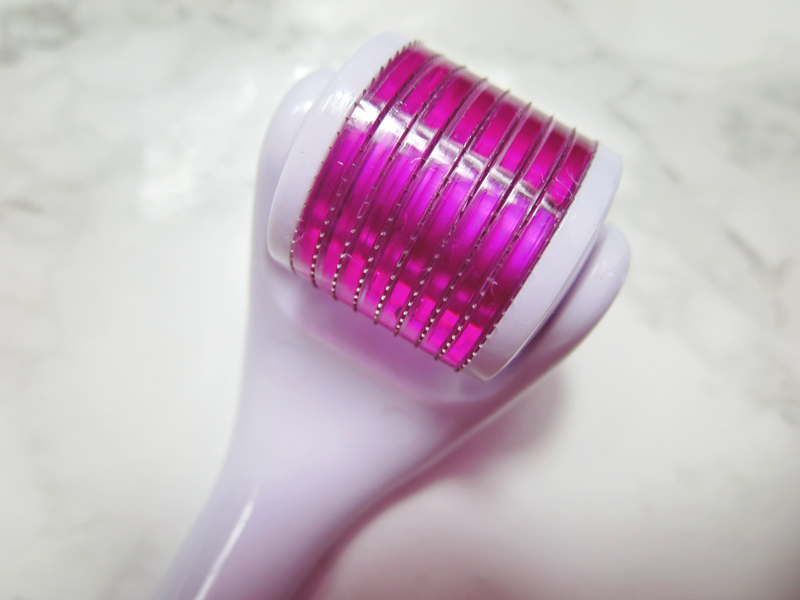 Banish Acne scars Banisher - If you've never heard of derma rolling before, this little torture device is actually designed with teeny tiny needles that you roll on your skin. Why would you do this to yourself? Basically, this pain free treatment, creates little "wounds" which causes your skin to produce more collagen to help heal itself. Results? Smoother skin. It helps resurface ; from acne scars to wrinkles. I have quite a bit of indentation left over from acne and this is really helping improving the appearance of it. I use the size small, usually once a week, depending how my skin is feeling (I don't like using it if I have any active skin issues). I might move on to medium when it's time to get a new one. Well that's it homies! What have you been loving lately?